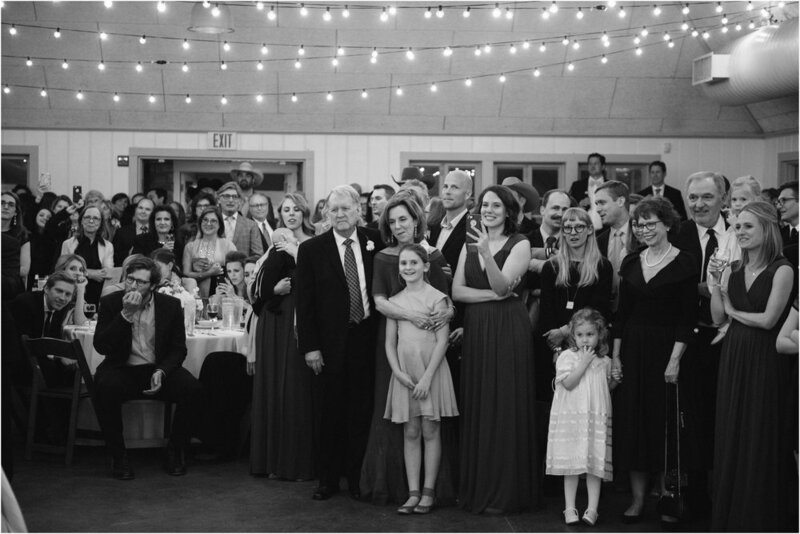 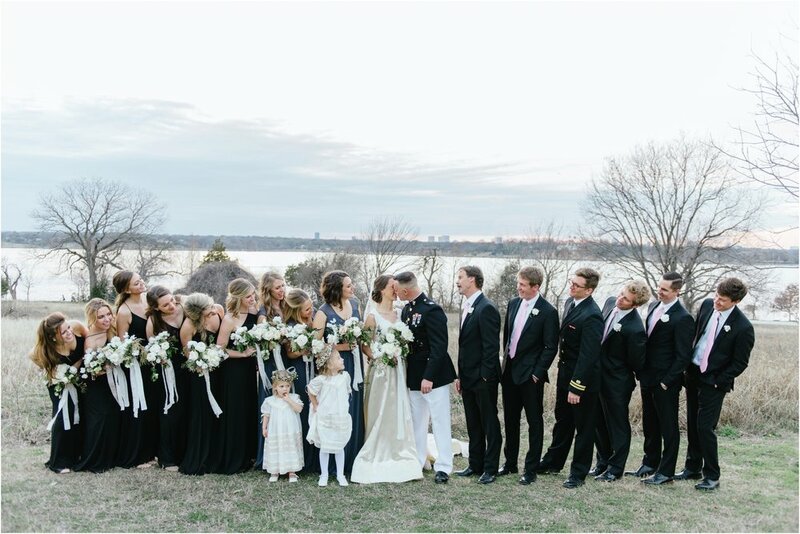 We can't even begin to put to words the joy that Caroline and Coleman radiate. 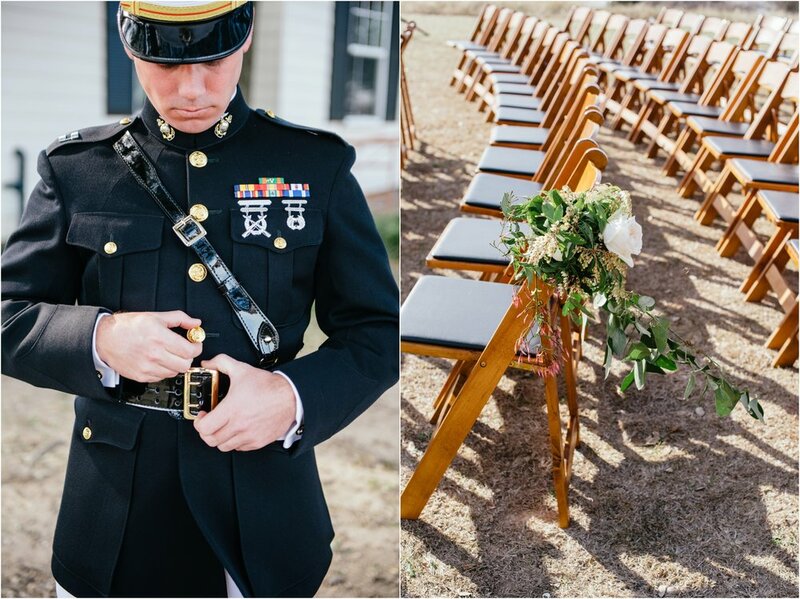 We got to work with them first on their engagement photos sand then for their March wedding. 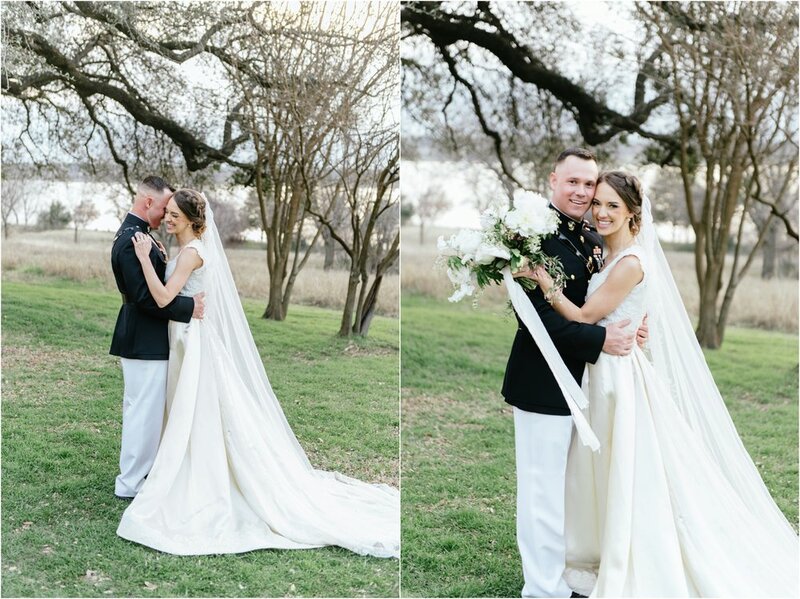 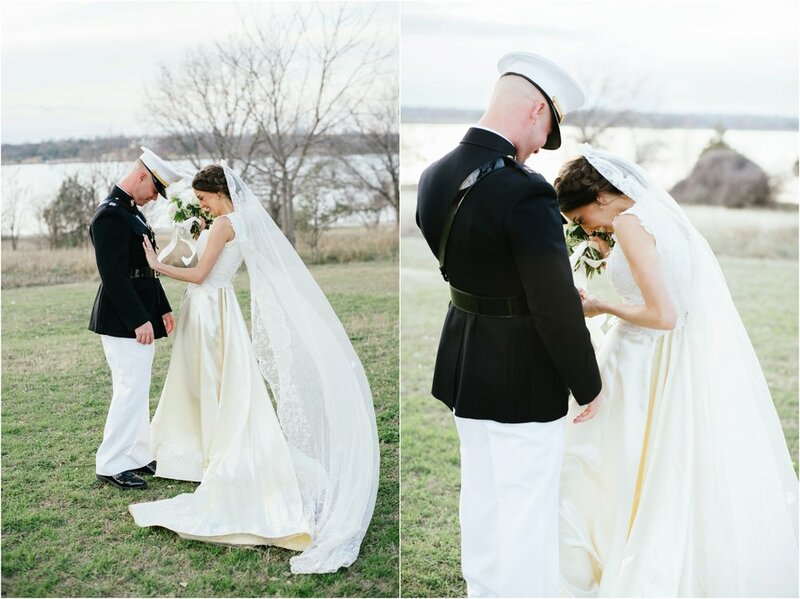 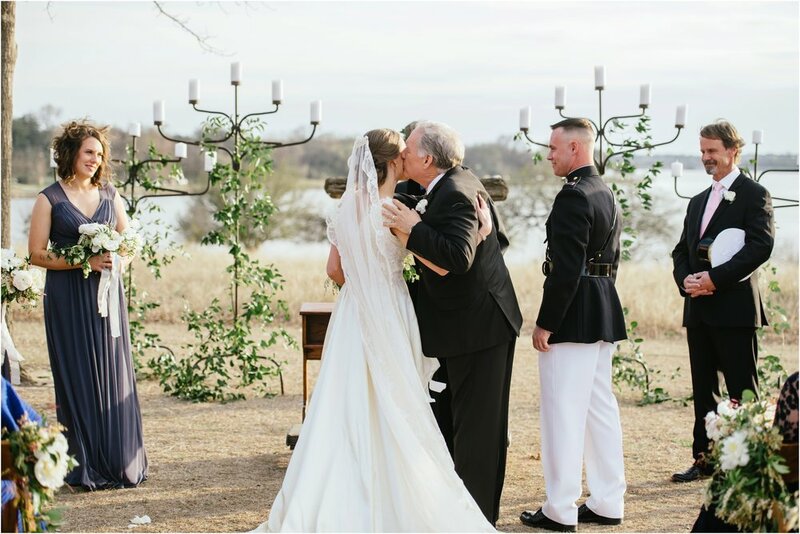 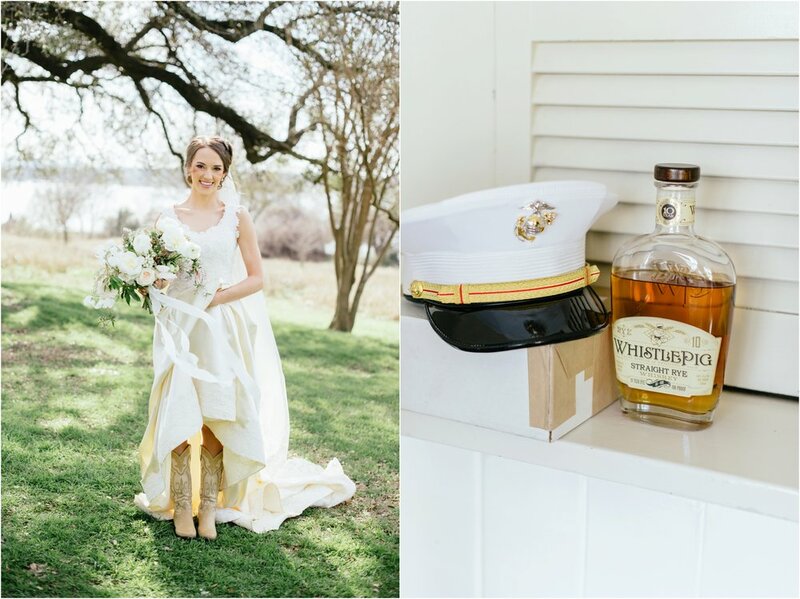 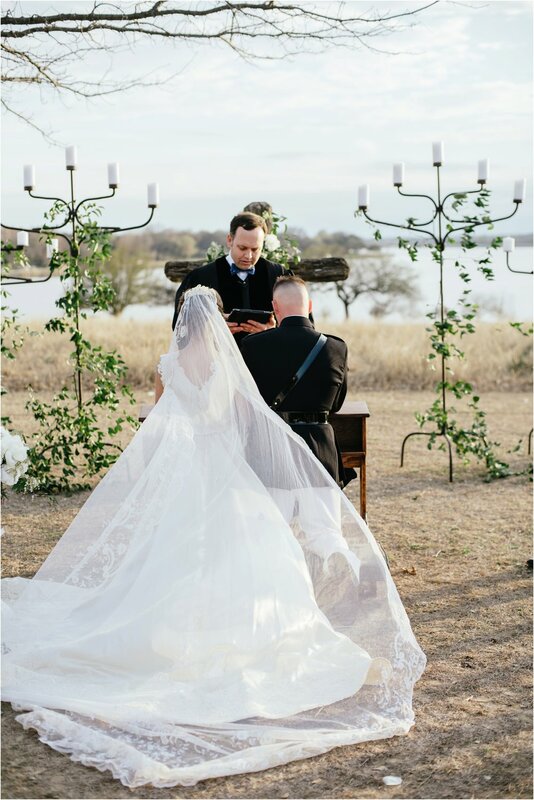 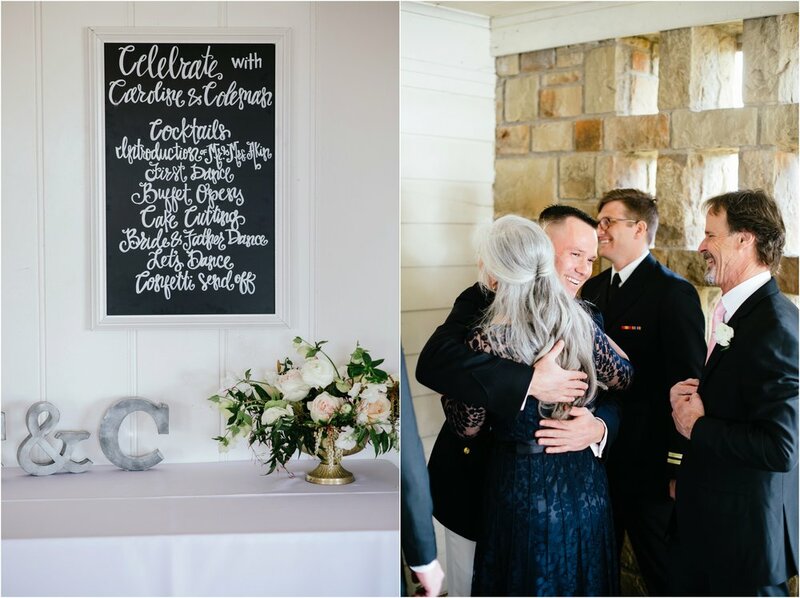 Coleman surprised Caroline by wearing his dress blues, and they didn't do a first look so her first glimpse at her groom was walking down the aisle. 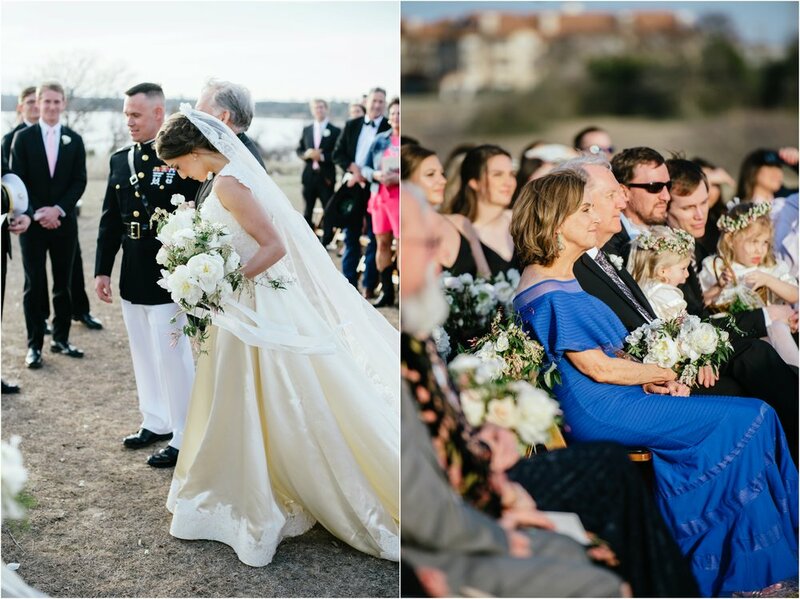 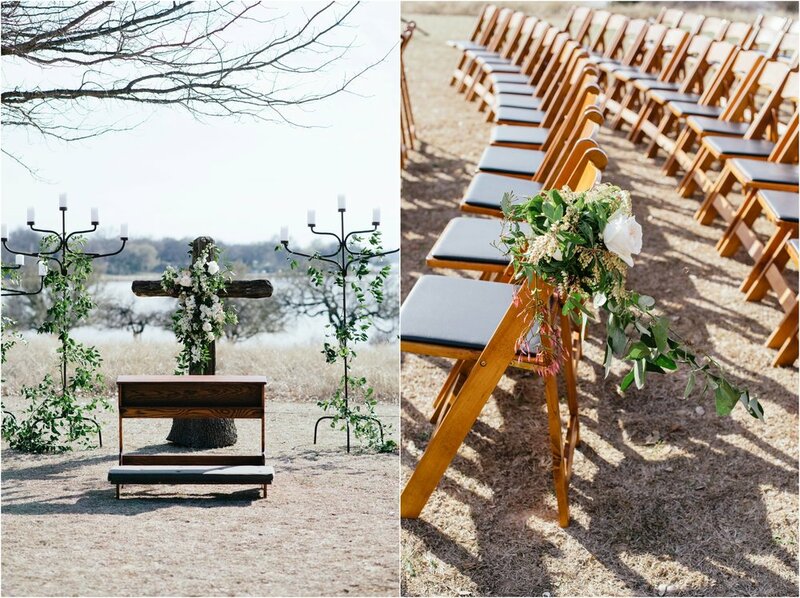 It isn't every day that we equally anticipate the bride seeing the groom as much as we do the groom's first glimpse of the bride! 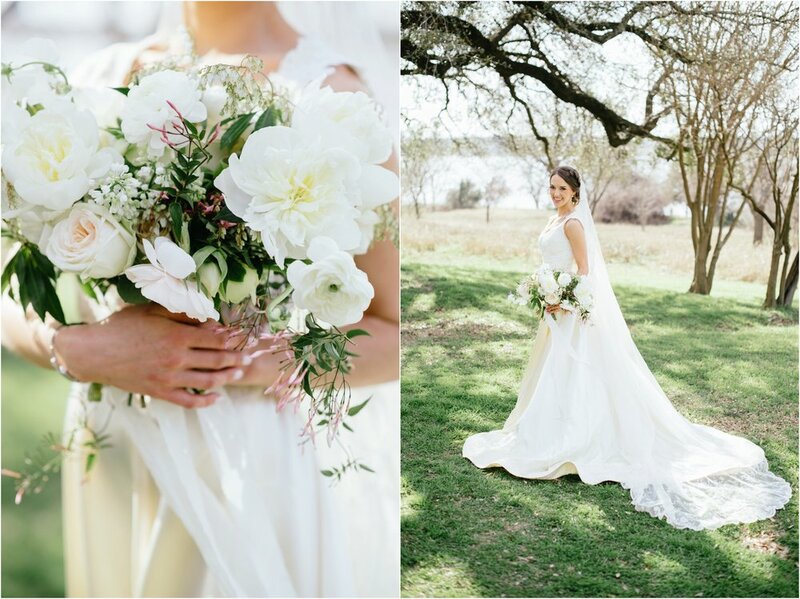 Caroline was so classically beautiful wearing her mother's wedding gown that her grandma wore before them. 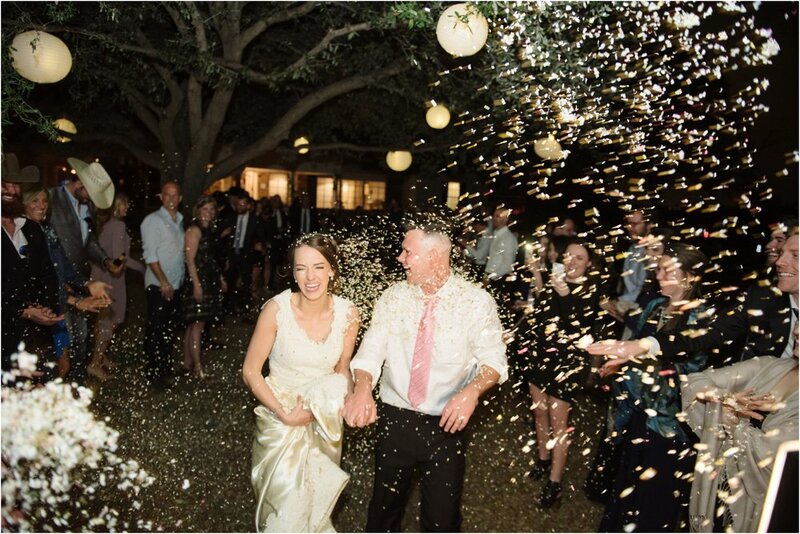 We do get to document the happiest days of people's lives and days like this make our jobs extra extra special.